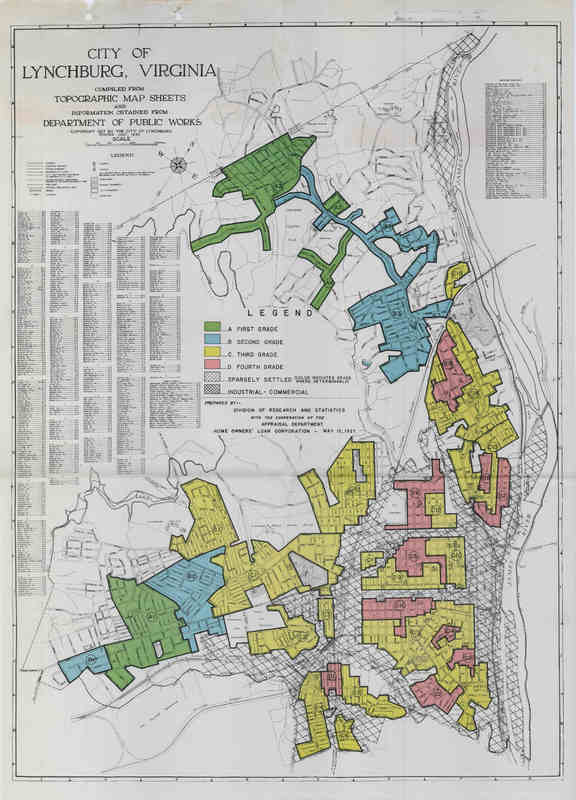 Redlining map of Lynchburg, Virginia ca. 1936. 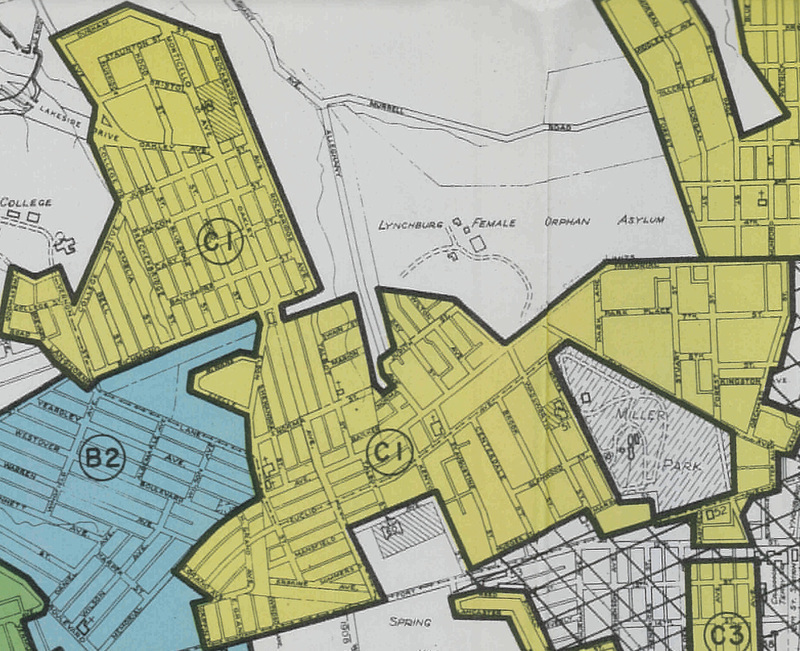 West End, or the C1 area of Lynchburg as evaluated by the HOLC. The C1 area of Lynchburg is more recently known as the West End. Residents in this neighborhood in the 1930s were mostly unskilled laborers. Since the HOLC survey for the neighborhood, commercial development has overtaken residential uses, owing to the growth of Lynchburg College next door. Few of the residential buildings from the 1930s remain.